Storm Surge in Carolina. The Numbers Behind the Hot Streak. - The Point Data-driven hockey storytelling that gets right to the point. Well, Carolina is 7-1 in its last 8 games and are tied for the second most goals in that time. Have the ‘Canes finally found the scoring touch Brind’Amour felt was missing or are they just finally getting some puck luck? Before going on their current run, the Hurricanes were second in the league in shots and averaging the second most scoring chances per game, defined as a shot attempt from the slot. That might seem like a good thing but just like Brind’Amour alluded to, they were only scoring on 6.5% of their shots while averaging the second lowest goals per game at 2.4. Unlike the beginning of the season, the Hurricanes have managed to find the back of the net consistently during this run. They’re scoring at more than double the rate they did through December as 13.6% of their shots have found the back of the net. The ‘Canes are 4th in goals per game in this time at 4.0. What’s really perplexing though is that they’re only managing the 26th most scoring chances per game through this stretch. This would suggest that maybe puck luck might be the answer. In looking at some of their most recent goals it would seem like a few bounces have gone their way. No team is successful without getting a bit of puck luck and the ‘Canes are finally getting theirs. The good news for them is that they’re getting contributions from more than one guy. 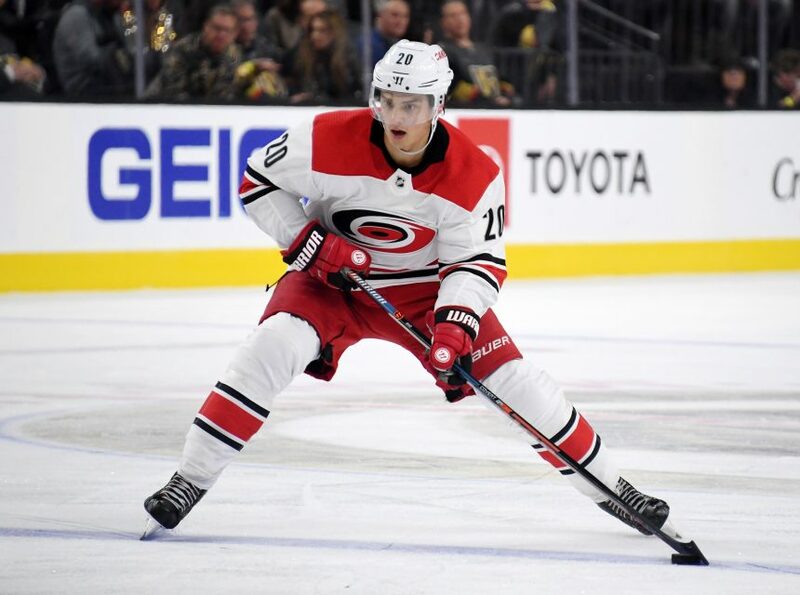 Sebastian Aho is an unbelievable player and he’s been leading the way for his team as their All-Star this season but he’s not the only one contributing. Justin Williams has just as many goals as Aho during their run and nine other players have at least one goal. Puck luck comes and goes and having contributions from so many guys in your lineup is always a sign that the good times should keep coming but, like most hot-streaks, the current pace is likely unsustainable. 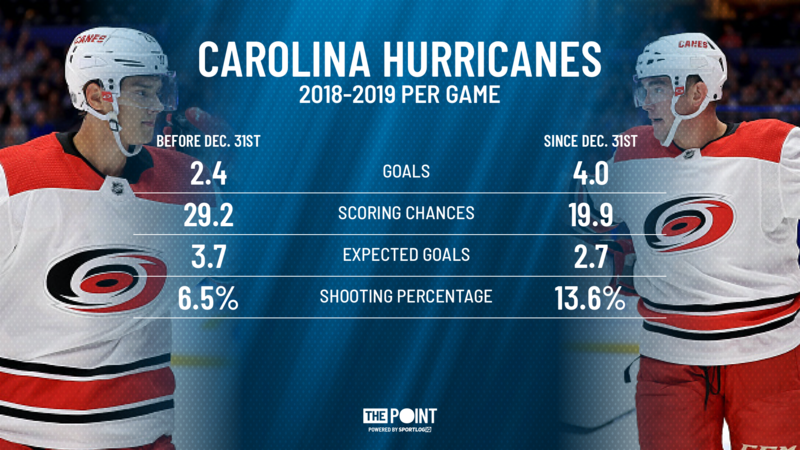 For the Hurricanes to be successful they need to find the right balance between getting a good amount of scoring chances and being able to bury on a consistent basis. How they rebound and finish the season after this hot stretch cools off will likely be the deciding factor in whether they make the playoffs or not.